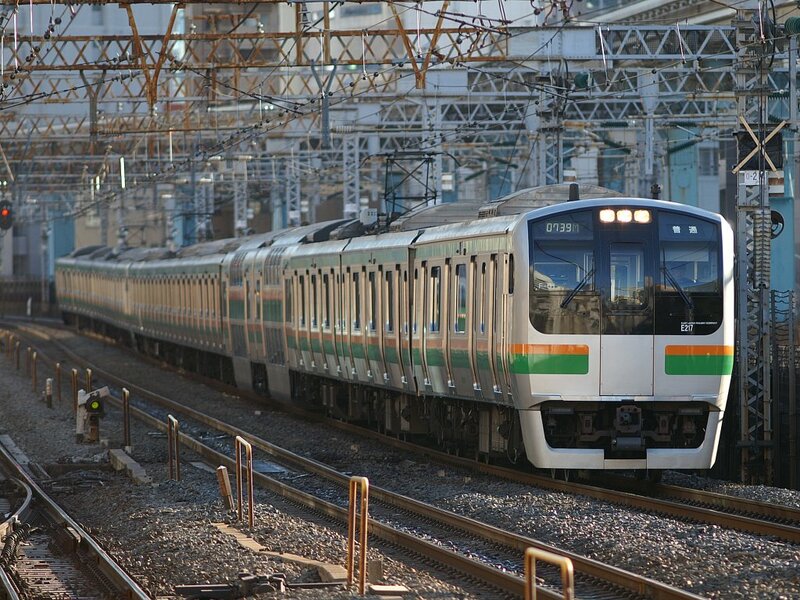 The Series E217 is a medium-distance train designed to be the successor to the Series 113 trains that had been in service since the 1960s. To deal with the large numbers of riders and issues with getting on and off the train, these trains were given four instead of three doors on each side and have length-wise bench seating. Two double-decker cars are included in the 11 car basic formation and are used as Green cars. These cars have reclining seats similar to those found on limited express trains but require an extra fee. Green cars have two instead of four doors on each side. The Series E217 is built out of stainless steel and has a front nose made of fiber-reinforced plastic painted to match. An emergency escape door was included on the front of the train because it has to run through a long underground section. The door was removed from later production models, but the design was kept the same. 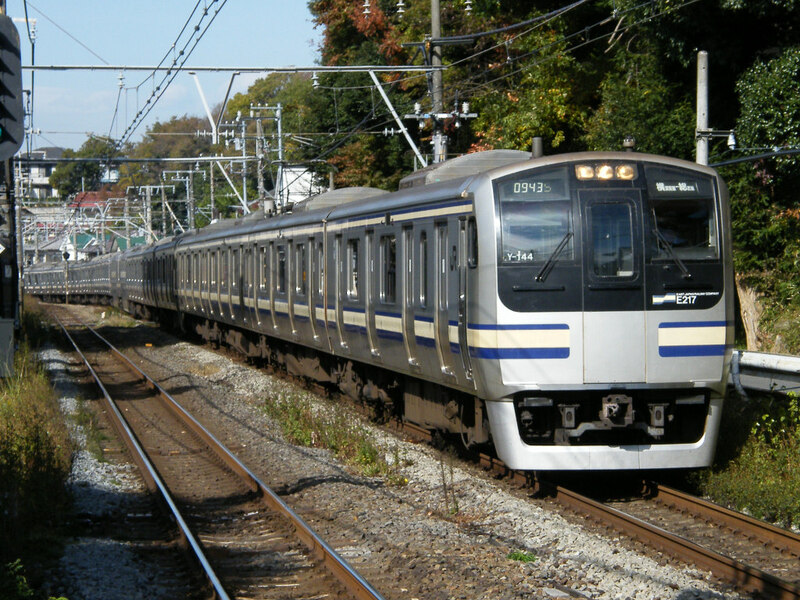 Production of the Series E217 was switched to the Series E231 and then the Series E233. 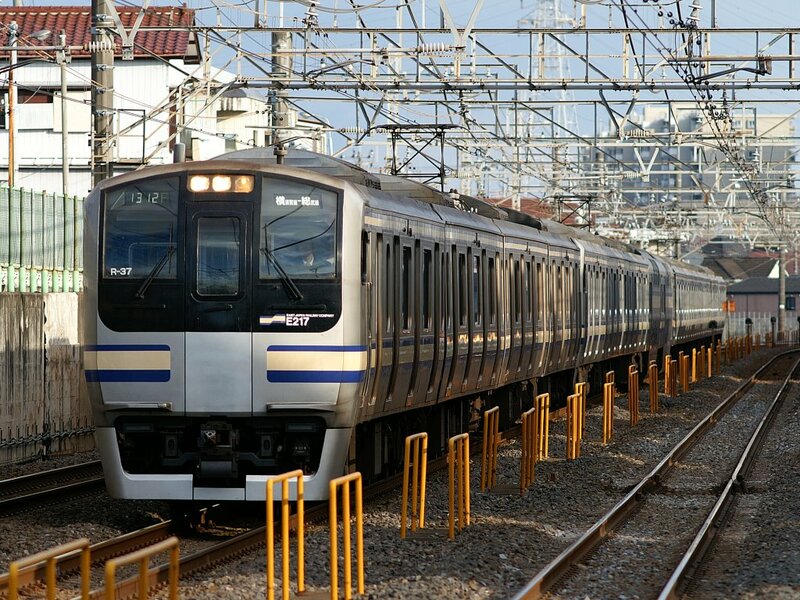 There are currently no plans on replacing the Series E217 with these trains.